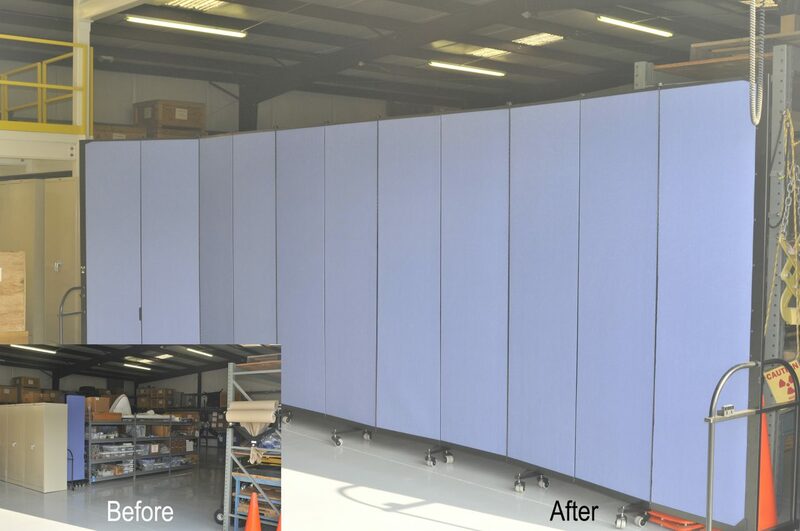 Uses: Before and After, Manufacturing / Warehouse Colors: Blue Lengths: 11 panel 20'-5" Heights: 7'-4"
When McSwain Engineering contacted Screenflex, they were concerned about the layout of their warehouse. 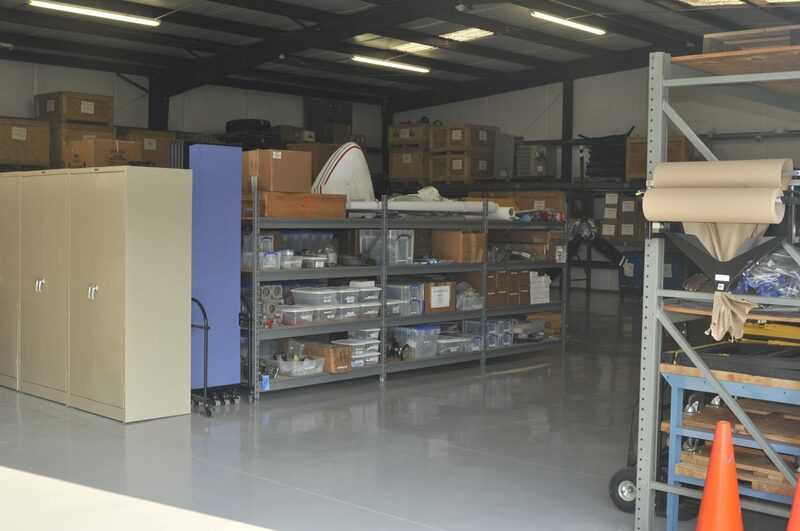 After converting a portion of their facility into a storage area, they needed a way to hide the storage area from view and limit access to the supplies. 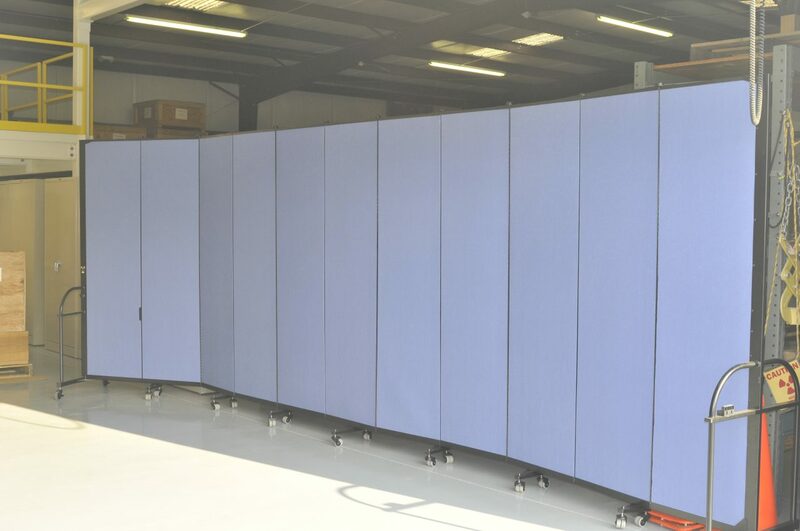 Our Screenflex sales team suggested our heavy duty rolling dividers as the best option for this industrial use. The oversized, self-leveling, double-wheel casters could withstand the repeated movement of the wall and the withstand the rigors of the factory. Choose from 36 sizes and 38 color options.